Smoking is one of the risk factors for postoperative morbidity. There were no studies on the correlation between the duration of smoking cessation and the incidence of morbidities after esophagectomy. A total of 246 patients undergoing elective esophagectomy with 2- or 3-field lymphadenectomy for esophageal cancer between April 2005 and February 2015 were retrospectively analyzed. Patients were divided into five groups according to the duration of smoking cessation [no smoking cessation (including cessation for a few days), cessation for 7–30, 31–90, ≥91 days, never smoker]. Any morbidity of Clavien–Dindo classification (CDc) ≥II, pneumonia, any pulmonary morbidity, surgical site infection, cardiovascular morbidity, and severe morbidities of CDc ≥IIIb frequently occurred in patients with no smoking cessation. The incidence of pneumonia and severe morbidities decreased as the duration of smoking cessation became longer. Logistic regression analysis suggested that no smoking cessation was the independent risk factor for any pulmonary morbidity (HR 3.68, 95 % CI 1.152–11.74; p = 0.028). Smoking cessation ≤30 days was also the independent risk factor for pneumonia (HR 2.89, 95 % CI 1.141–7.301; p = 0.025). Smoking cessation ≤90 days was the independent risk factor for severe morbidities of CDc ≥IIIb (HR 2.82, 95 % CI 1.072–7.427; p = 0.036). 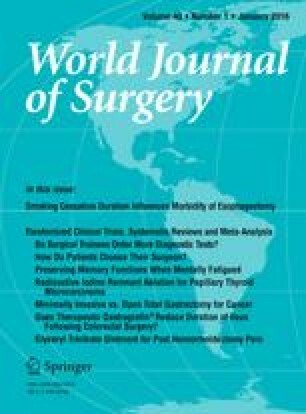 Preoperative smoking cessation more than 90 days is ideal to reduce morbidities after esophagectomy. When patients with insufficient smoking cessation undergo esophagectomy, careful perioperative management is required.